A 12 year old girl lives in New York with her single mother. She receives a series of notes that bear mysterious messages and cryptic directions for her to follow. She must figure out the meanings of the messages as well as their source. Meanwhile, she is also struggling with the loss of a special friendship with a boy who’s been her best friend for most of her life. 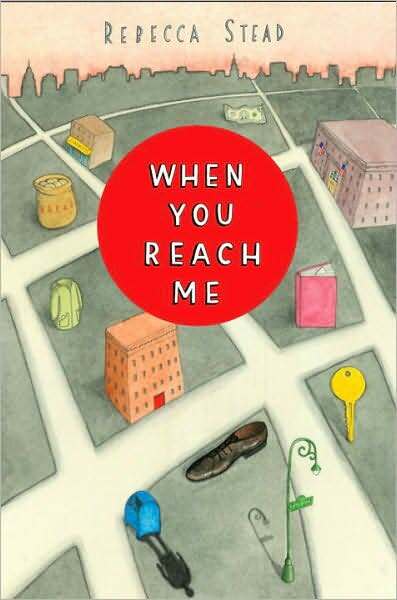 This book is a little bit like A Wrinkle in Time in that it takes place in an ordinary setting in the current time period but the plot revolves around completely extra-ordinary occurrences. Both books contain time travel, but both contain scientific explanations for all of the extraordinary things that happen. And both main characters are twelve year old girls. Similarities end there, however, and When You Reach Me is an original, engaging story all on its own. A great book trek. I would heartily recommend this book for 9 to 13 year olds, especially mystery lovers and readers who prefer modern day “normal” urban settings. I also think this would be a great introduction to science fiction for anyone who tends to veer from that genre thinking it to be “too geeky,” because the tone is matter-of-fact and dry, but there is a science behind the mystery that might peak an interest in further explorations into the science fiction arena. Rebecca Stead has an awesome website: www.rebeccasteadbooks.com. It’s fun to navigate and there is a wonderful description of her other book, First Light, which I’m now very anxious to read.